Lightly armed and facing an army of foes, Snake, a government agent, must avoid firefights in order to survive. Guide Solid Snake through this tense cinematic saga as he attempts to regain control of a nuclear weapons base from terrorist hands. you must stay silent and in the shadows to avoid direct enemy contact as enemies intelligently react to sight and sound. It's a taut, gripping story with multiple endings - a truly cinematic experience. Awesome game to have for your collection, both disc have very little fine scratches on them and they work perfectly fine thank you!!. More than just a game.. This is a childhood memory, I remember watching my older brother play this, I'd watch him for hours on end and I forgot just how amazing of a story line this gem had. The game came in like new condition and the fact that it's a black label original copy and with a booklet for a little over 20.00$ is a out of this world price. Also shipping was extremely fast! 3 days! It's like I was thinking and wanting to play this nostalgic piece and then before I know it.. bam.. at my doorstep. I already beat it and now I'm writing this review to say that Lukie Games is the greatest! Will be buying all my childhood memories from these guys! SOLID game but i ordered this and they sent me the much cheaper anniversary edition instead of this one which is worth alot more. 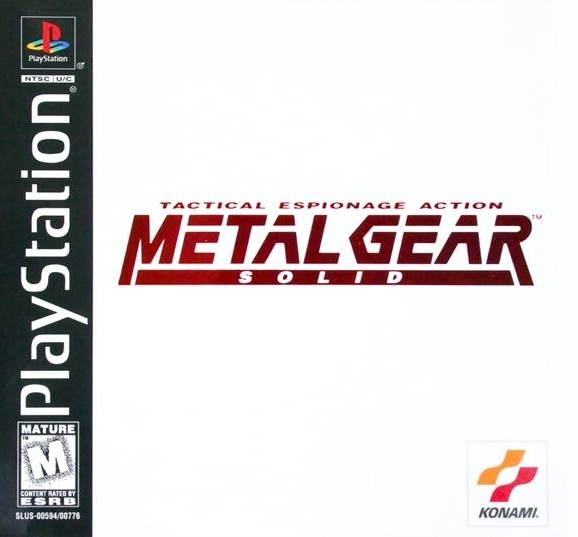 i dunno kind of pissed me off considering i have to put it in my ps2 collection because its in a ps2 box when its actually a ps1 game, quite the gamble for collectors but if you want a solid snake then play this game with a mountain dew code red in one hand and a piece of papa johns pizza in the other. As the title suggests, this game is a masterpiece. One of the greatest games made for the original Playstation. The story and graphics are fantastic and the gameplay is phenomenal. From the stealth to the epic boss battles this game is a must play for any PS1 owner. Lukie games has provided another exceptional game. This game is an instant classic. I love the gameplay, story, voice acting, graphics, boss battles and soundtrack for this game. It is one of the best games I have ever played. I would recommend everyone to play this game. Thanks Lukiegames. Came in Great condition almost new so happy definitely buying from theses guys again. No scratches, case in perfect condition, mint condition manual. Arrived on time. Its one of my favorites from growing up. Still a great play even now. Everyone should at least try it once. Thank you very much! awesome price and fast shipping! great condition too!! One of the first games I've ever played on the psx console and by far my favorite . Hours of awesomeness .... Is that a word? Anyway it should be cause it's the only word to truly describe the greatness of the game . Tgevgraphics , the cut scenes, the characters were all ahead of the time and set the bar for games to come. 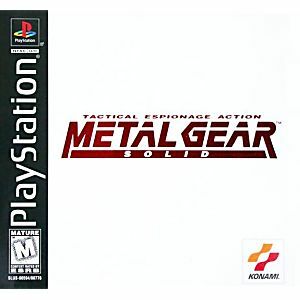 Metal Gear is my favorite game of all time. it is possibly the most stealth based game of all time, although I have not played every stealth based game. Metal Gear's M rating is not a joke either this game means it when they say it is rated mature. Metal Gear is extremely violent and promotes tobacco use. but the game play is outstanding from hiding in your trusty box or a closet or sneaking up behind someone and breaking their neck. the boss battles is what makes metal gear such a great game. the final boss battle is possibly the most intimidating boss battle from any game. to sum it up metal gear is a great game; way ahead of it's time, but it is too violent for younger kids.